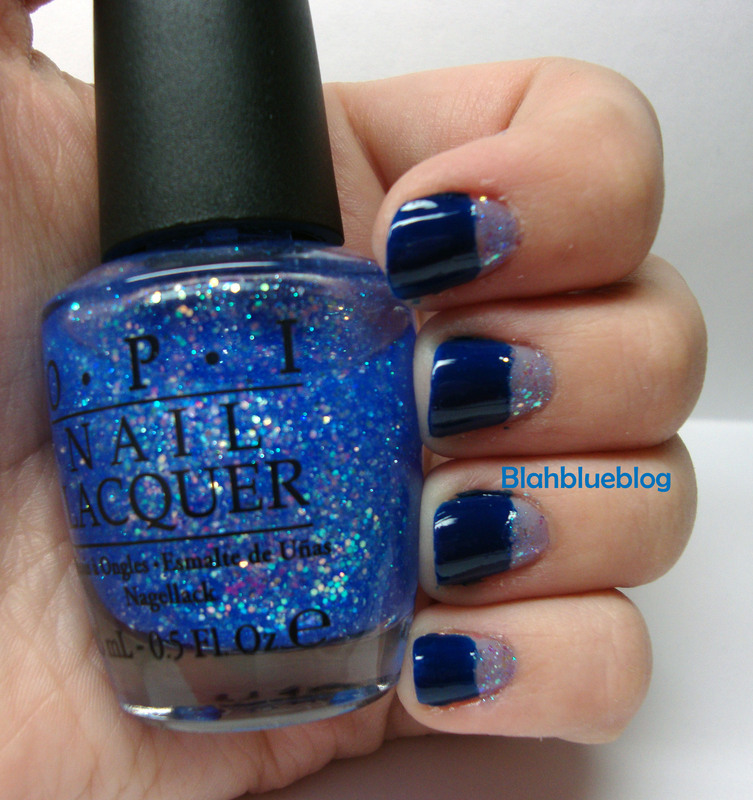 I decided to try a half-moon manicure with my new Katy Perry by OPI polish Last Friday Night. I used the same technique with round reinforcement stickers that I used in my last half-moon post. I painted below the reinforcement stickers with an unnamed blue jelly polish from the fall Urban Outfitters nail polish set. And after I allowed the dark blue to dry I applied Last Friday Night to the upper portion by using a small nail art brush. I recently started doing nail art so I love design that looks complex and hard to do, but really takes about 5 minutes. The perfect solution is a half-moon manicure. With round reinforcement stickers and a little practice a great half-moon manicure is as simple as any other tape manicure. I loved how this turned out 🙂 I first cut my round reinforcement stickers in half then I applied them to the base of my nail. Then I painted below the reinforcement stickers with OPI’s Holy Pink Pagoda! I did two thin coats and I allowed them to dry for 15-20 seconds before removing the stickers. Mine did not turn out exactly perfect so to cover up any imperfections I applied 1 coat of OPI’s Teenage Dream over my whole nail. I loved the effect but next time I will just apply glitter to the upper portion.